Using the hands-on workbook format that was so effective in her bestselling first book, Stand-Up Comedy: The Book, Carter offers a series of day-by-day exercises that draw on her many years as a successful stand-up comic and the head of a nationally known comedy school. Also included are practical tips and advice from today’s top comedy professionals—from Bernie Brillstein to Christopher Titus to Richard Lewis. She presents the pros and cons of the various comedy fields—stand-up, script, speech and joke writing, one-person shows, humor essays—and shows how to tailor your material for each. She teaches how to find your “authentic” voice—the true source of comedy. And, perhaps most important, Carter explains how to take a finished product to the next level—making money—by pitching it to a buyer and negotiating a contract. 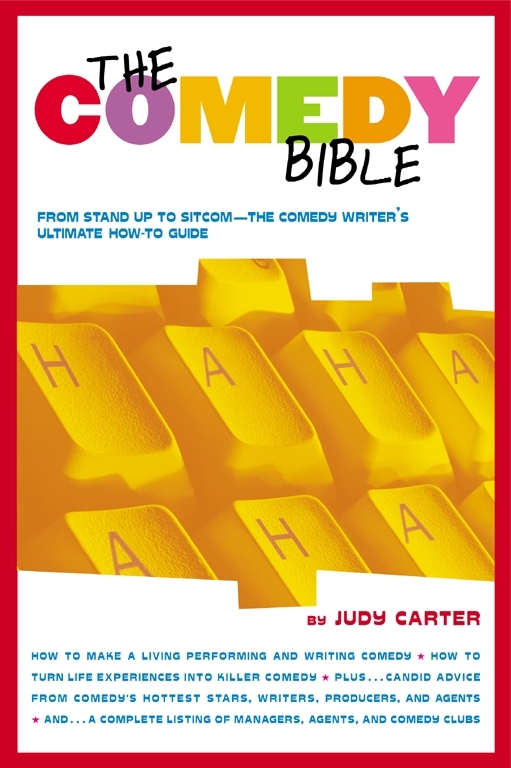 Judy Carter is an author, speaking/comedy coach, and speaker. Her message of using comedy techniques to decrease cubicle stress makes Carter an in-demand speaker for Fortune 500 companies where her keynotes entertain and inspire.